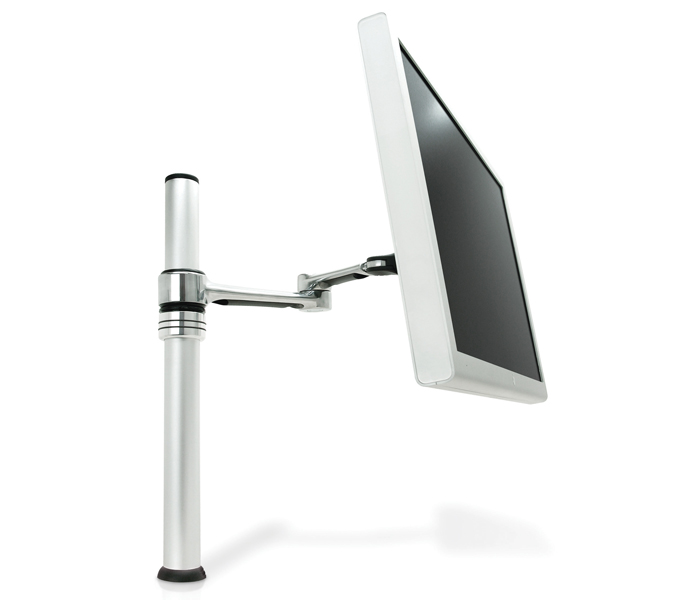 The Visidec Focus VF-AT Articulated Monitor Arm Single Display Desk Mount is the ideal ergonomic and space saving desk mount for any home or office. Its elegant design and polished aluminum finish add style and functionality to any workspace. The broad range of movement from the pivot points on the arm and height adjustability create a workspace customisable for any user in any position. The screen can be pulled out 16.25” (413mm) for the ideal focal length and rotated 360° around the pole. The optimum viewing angle can also be achieved with a 70° up and 70° down tilt, and pan of 180°. Versatility extends to monitor choice, thanks to our FlexiStar™ mechanism that allows two different mounting hole patterns. Cables are cleverly managed for a clean look and to reduce clutter.